Before we discuss the Inverted Hammer candlestick pattern, it is necessary for us to have a prior understanding of the Hammer pattern. The “reverse of the Hammer pattern” is known as Inverted Hammer candlestick pattern. It is found after a downtrend. It is treated as an indication of a trend-reversal signal. The pattern has one candle. The open, close, and low are near the low of the pattern. 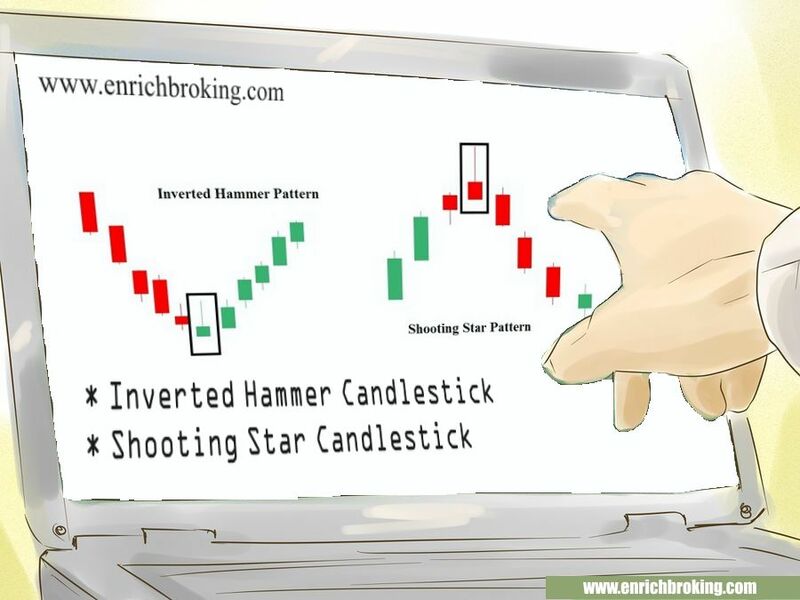 The illustration chart above shows the Inverted Hammer and Shooting Star Candlestick pattern. When is the Inverted Hammer pattern found? When the buyers move the commodity prices against the sellers, it gives rise to this pattern. The substantial buying interest for technical, psychological, or fundamental reasons lies in the evidence that the commodities regain and closes near the opening prices. It indicates a possible market bottom or trend change when this occurs in a downtrend resulting in a reversal pattern. The shooting star is named after its shape. It has one candle. The open, close and low are near the low of the candlestick. This pattern gives rise in an uptrend. When is the shooting star candlestick pattern formed? When the buyers move the commodity prices higher against the sellers, it gives rise to this pattern. The Shooting star pattern can be treated as an exit point.